Our 21st June Coins and Banknotes auction was held on one of the warmest days of the year so far, with temperatures reaching over 30C. Consequently our air conditioned viewing rooms seemed extremely popular and not only, for the excellent range of lots on offer! 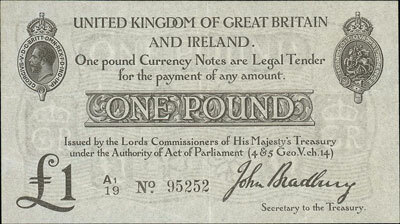 We began the auction with the British banknotes section and this Bradbury 1914 first series £1 with realised £283. 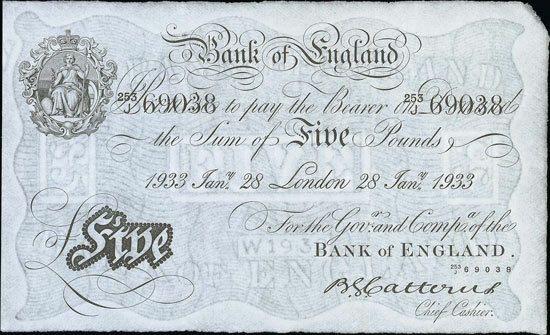 This Catterns 1933 £5, graded as very fine, sold for £200. 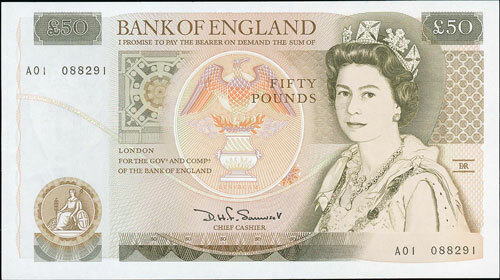 This Somerset 1981 £50 from the first printing run achieved £247. 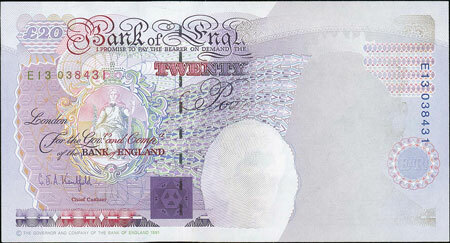 And this Kentfield 1991 £20 error note sold for £118. Moving on to the British coins section this highly sought after William I penny realised £1,357. 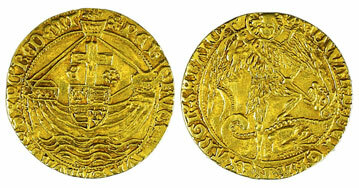 This Edward IV second reign Angel achieved £1,239. 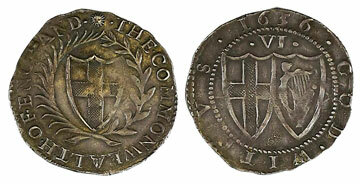 And this Commonwealth 1656 sixpence sold for £507. Milled British coins were ever popular. 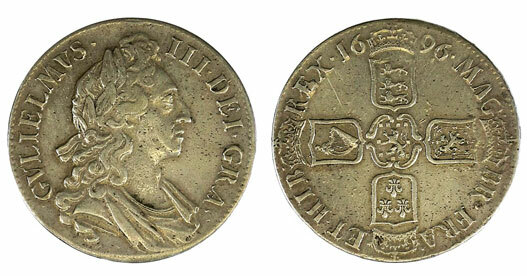 Highlights include this 1696 crown which realised £271. This 1804 Bank of England dollar which achieved £342. 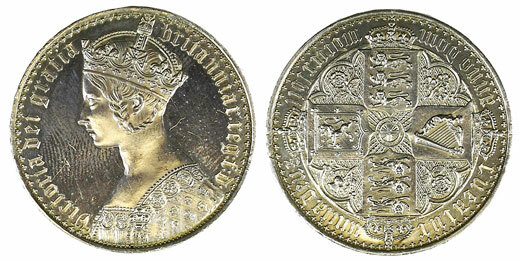 And this 1847 Gothic crown which sold for £1829. There was plenty on offer in the Investment Gold section this auction with this 1818 sovereign graded as good extremely fine realising £4,838. 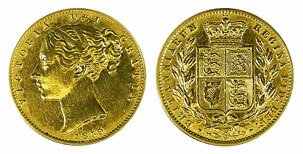 And this 1859 Ansell sovereign achieved £2,714. 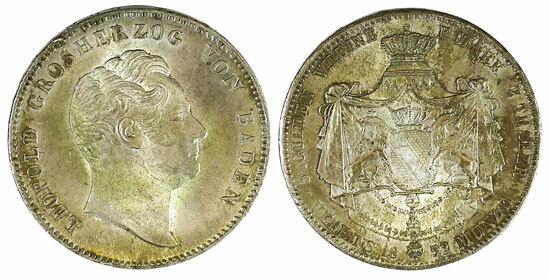 In the World Coins section this German States Baden 1852 2 thaler sold for £306. And this Ireland 1928 proof cased set realised £271. Our next coin and banknote auction will be held on Wednesday 16th August 2017. Look out for the full catalogue for this sale, which will appear on our website in the next few weeks. Also keep an eye on our Twitter and Facebook pages which will include updates of our latest auction news.